Sculpture Size: 5 X 5.5 X 4.5 in. 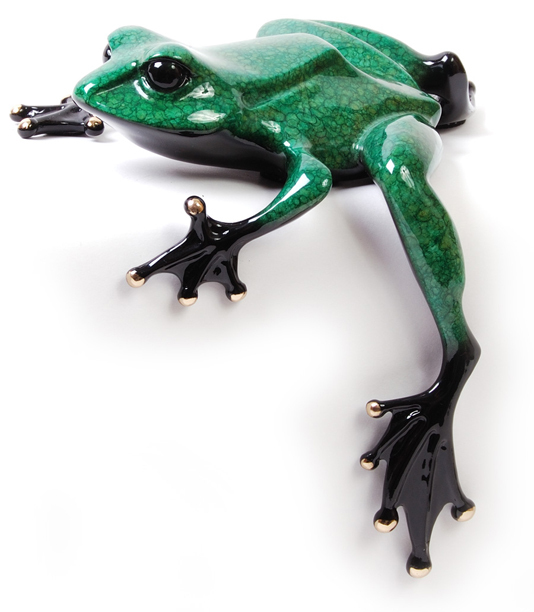 A classic green frog that hangs a leg over the edge of a table, shelf or mantel. “Fat Boy” has been eating too many grasshoppers—he’s looking a little tubby! Very nice black underside highlights his crackle-green olive patina.